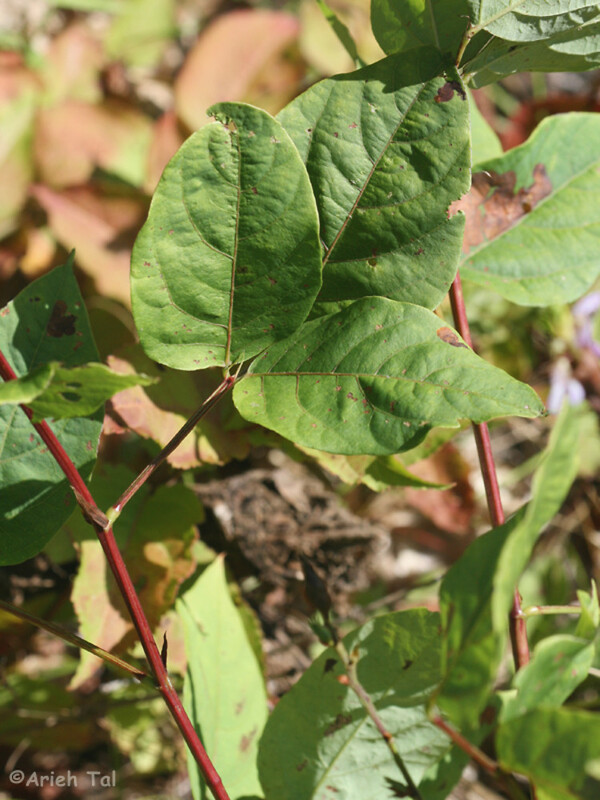 Desmodium cuspidatum (Muhl. ex Willd.) DC. ex Loud. 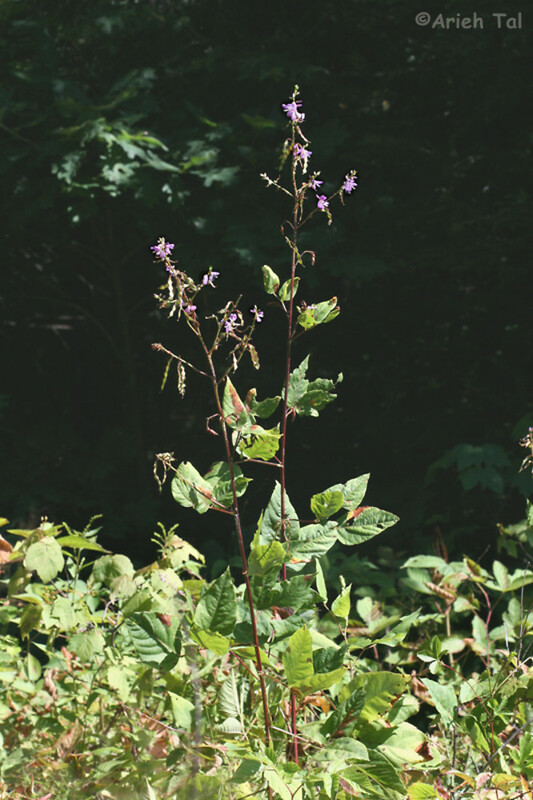 Large-bracted tick-trefoil is a rare plant in New England, distributed across the southern New England states as well as the southernmost portions of New Hampshire and Vermont. Development may account for some of the two thirds of populations that have been lost since record-keeping began. 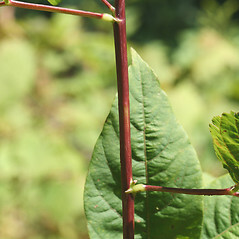 leaflets obtuse to acute at the apex, stipules 2-6 mm long, and schizocarp segments mostly 4-7 mm long (vs. D. cuspidatum, with leaflets acuminate at the apex, stipules 8-20 mm long, and schizocarp segments mostly 9-11 mm long). 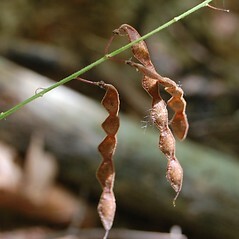 Hedysarum cuspidatum Muhl. ex Willd. 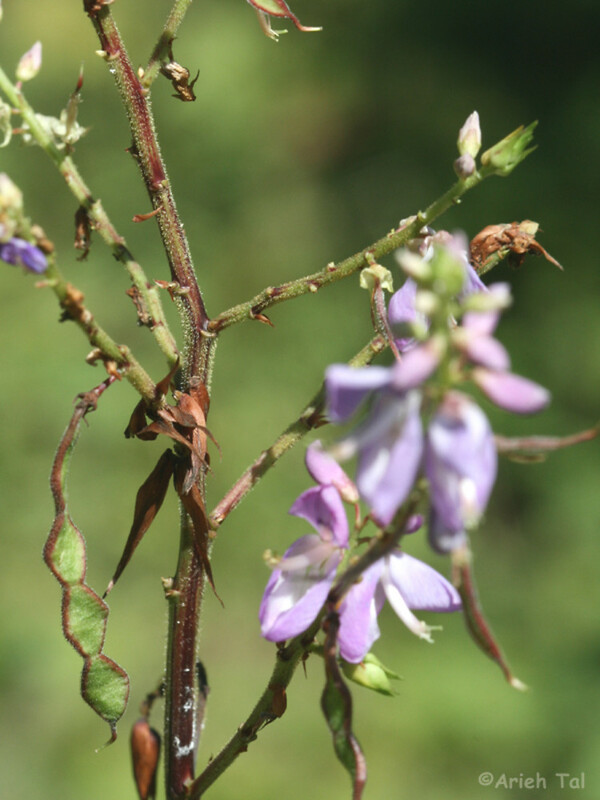 large-bracted tick-trefoil. 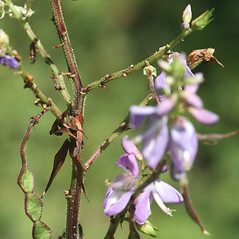 Desmodium grandiflorum DC. 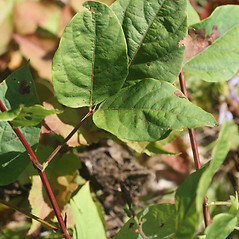 ; D. longifolium (Torr. 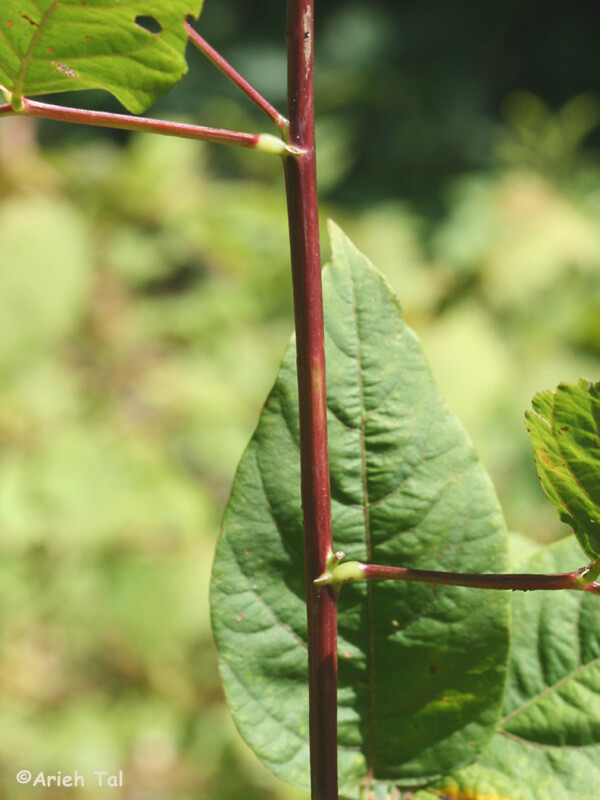 & Gray) Smyth; Hedysarum cuspidatum Muhl. ex Willd. 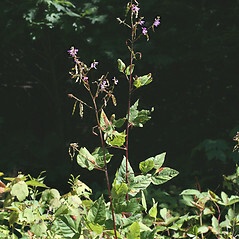 ; H. grandiflorum Walt. 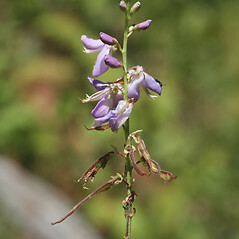 ; Meibomia grandiflora (DC.) 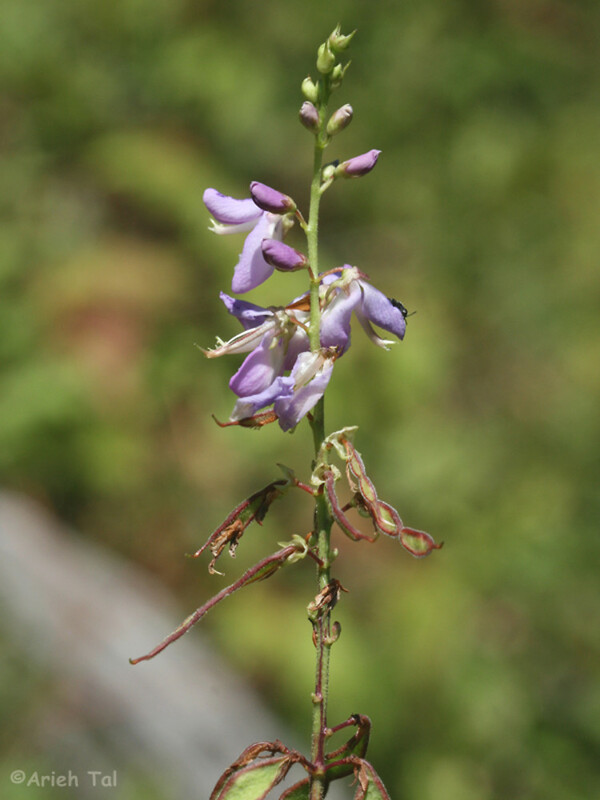 Kuntze; M. longifolia (Torr. & Gray) Vail • CT, MA, NH, RI, VT; mainly restricted to the southern portion of the northern New England states in which it occurs. 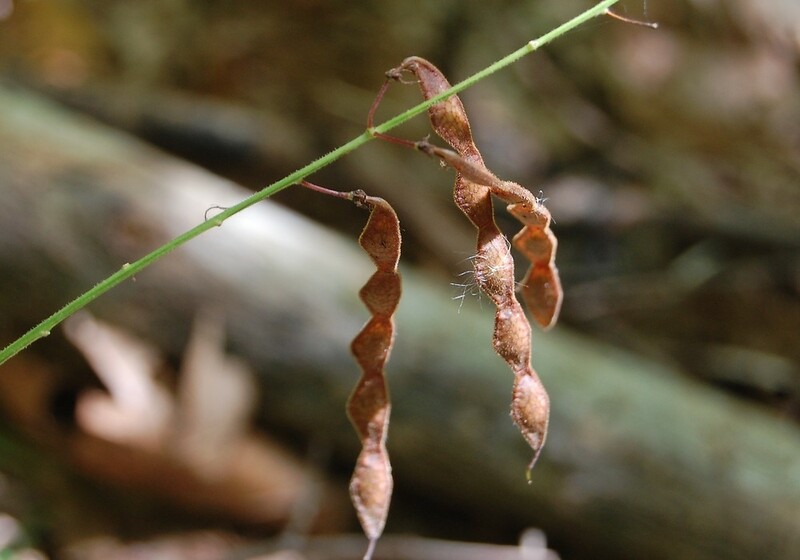 Dry-mesic to mesic forests and woodlands, these usually on rocky slopes, but infrequently on river terraces, also sometimes in dry fields and open rights-of-way.